Cabana Bay Beach Resort — Magical DIStractions Travel Co.
Universal’s Cabana Bay Beach Resort is now open at Universal Orlando Resort. This brand-new value and moderately-priced property is the fourth on-site hotel at Universal Orlando and evokes the classic, retro-feel of iconic beach resorts from the 1950s and 60’s. Enjoying even more incredible amenities, including a second 8,000-square-foot zero entry pool, Universal Orlando’s first lazy river at an on-site hotel, The Hideaway Bar & Grill, and additional moderately-priced family suites and value-priced standard guest rooms. 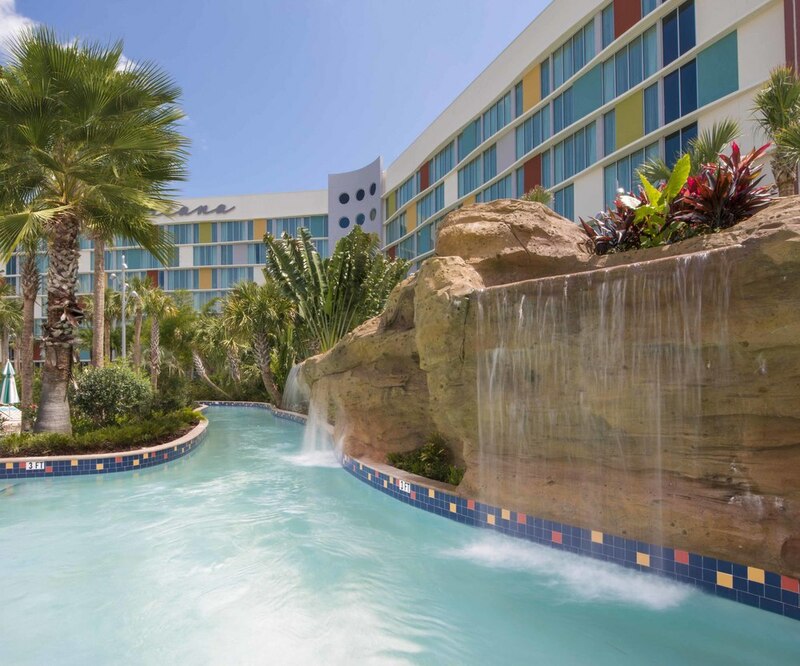 Universal’s Cabana Bay Beach Resort features a total of 1,800 rooms – 900 family suites and 900 standard guest rooms. Guests can stay in a family suite, which sleeps up to six people and includes a fold-out foam bed, kitchenette, a sliding partition for privacy, two flat-screen TVs and a bathroom with preparation spaces for three people at once. Cabana Bay guests also get exclusive benefits only available to on- site hotel guests at Universal Orlando, including Early Park Admission to The Wizarding World of Harry Potter one hour before the theme park opens. Rates for the family suites begin at $174 per-night, and can run as low as $134 per-night depending on the length of stay. Rates for the standard guest rooms begin at $119 per night, and can run as low as $93 per-night depending on the length of stay.